Judges Statement: The design of this home bears the imprint of one of the most influential residential architects of the past 40 years. His legacy to the current architect is the mastery of story-telling through architectural design and is evident when you look beyond the obvious precision of the home and see the details and choices that were made. 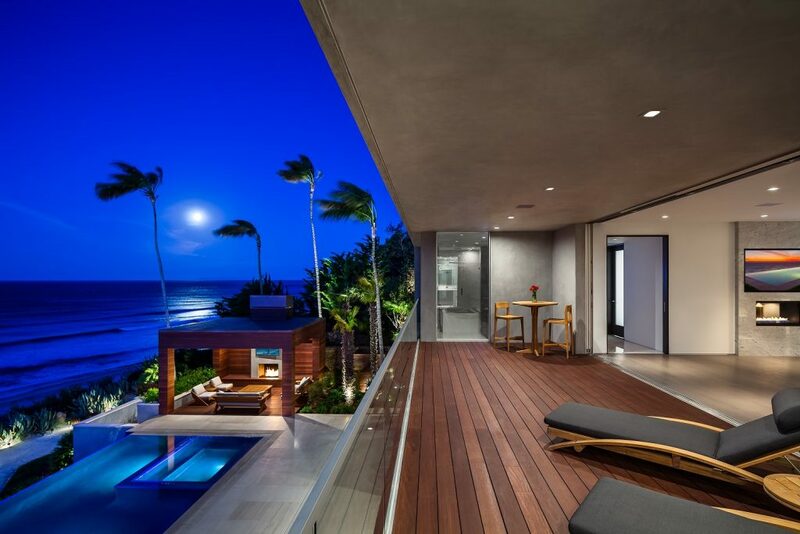 Upon Entry, the Living and Dining spaces provide generous casual seating and entertainment space but the main function is to set the stage for the wide pocketed doors at the far side of the space opening out to an infinity pool and Pacific Ocean beyond. The Dining Area is defined by a 6’ wide ceiling soffit that provides a defined space without dedicating valuable floor or ceiling space to detract from the cleanliness and proportion of the volume over the Living area. The widths of the rooms throughout the home are proportional to the wide vistas framed by pocket doors and/or windows. 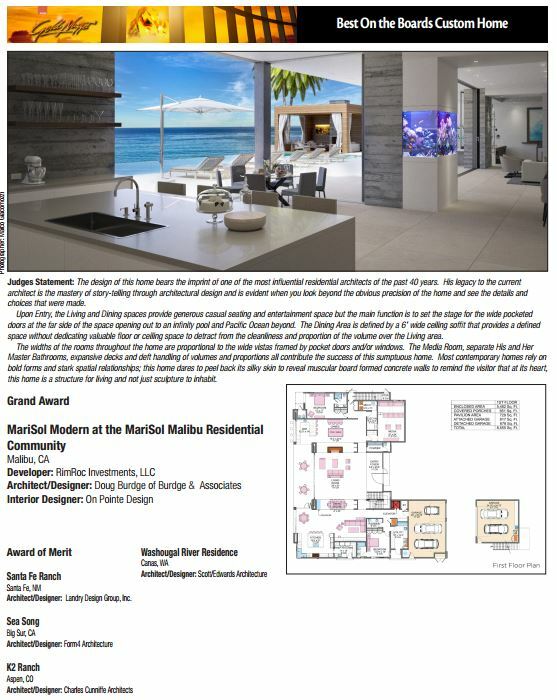 The Media Room, separate His and Her Master Bathrooms, expansive decks and deft handling of volumes and proportions all contribute the success of this sumptuous home. Most contemporary homes rely on bold forms and stark spatial relationships; this home dares to peel back its silky skin to reveal muscular board formed concrete walls to remind the visitor that at its heart, this home is a structure for living and not just sculpture to inhabit.